Greetings from a wandering mage! 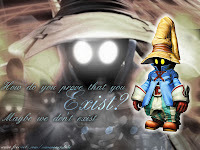 [Edit 2/14/11]: Due to some difficulties, I will not be cosplaying Vivi this year. However, I am leaving this post up because I plan to complete his costume at some point in the future. Instead, refer to my new post (which I hope to write up soon) for my updated cosplay for this summer season. Sorry for any confusion everyone! This year Sarahceratops and I decided it would be fun to post blog updates about our progress for next year's cosplay. Since we're done with cons for this year, we are making preparations for next year! 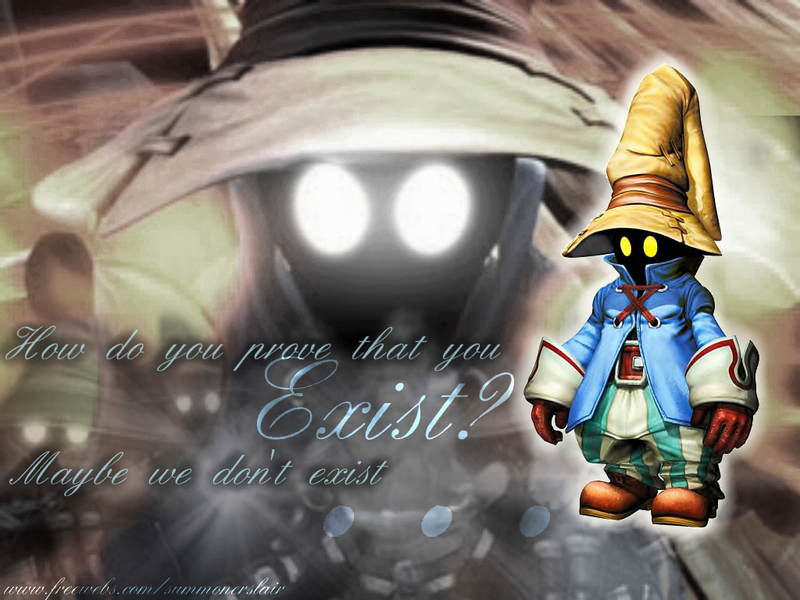 After much deliberation, we came to the conclusion of doing Final Fantasy IX. We knew we wanted to stay within the video game realm, and we thought it was about time we tried one from the FF series, since its one of our favorites. Sarah has played through the game a few times now, but I had not until this summer. 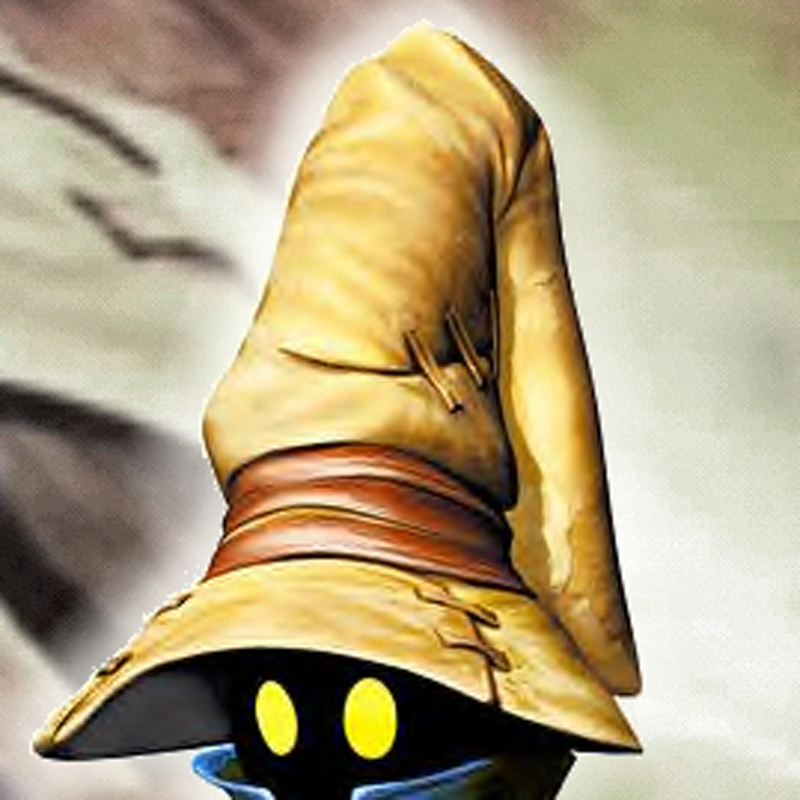 After a few short hours of gameplay, I quickly settled on my favorite character: Vivi. So for this first post I am going to break down what I do before I actually start working on the costume itself. I generally choose a character based off of a few things, the most important being my interest. 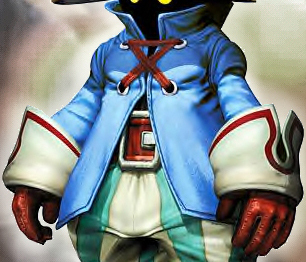 Vivi was one of my favorite characters from the start, so you always want to find a character you are interested in. Second, I wanted to see if it was something I can pull off. Do I have the body type to be this character? Would I be comfortable wearing it? Vivi definitely meets those requirements. 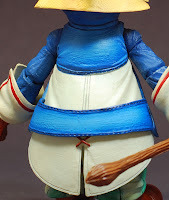 I also look at how challenging the costume will be, and if I can balance making it on top of my school work, and if it would be too hard to sew or make the accessories. Once I find some good pictures to work with, I look at each individual piece that I will have to make/purchase. This makes things so much easier when you head to the fabric store. 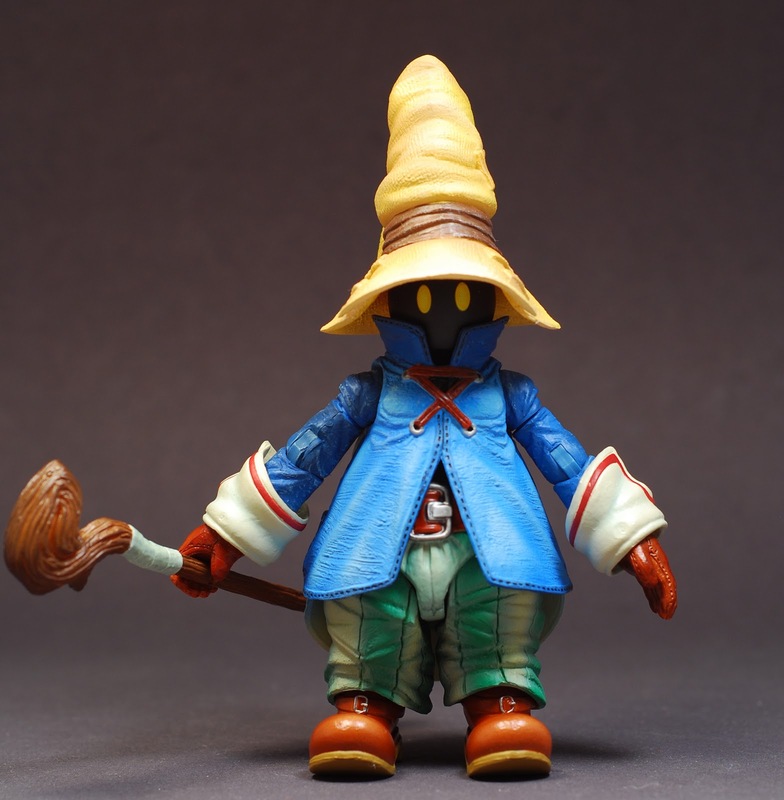 Let's look at Vivi and what I'll have to do. 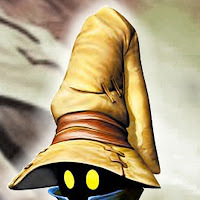 Head/Hat ~ Vivi is an interesting character in that his face is shrouded in darkness other than his glowing eyes. 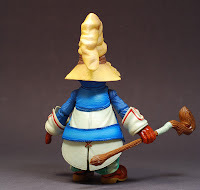 At this point, I am planning on finding a stretchy black material to wear over my head like bandits do, and attach eyes separately (still deciding how to make those glow though). Another option would be to somehow make a round head shape that I wear around my actual head. This is probably the hardest part of the costume. The hat I was hoping to find a base to build off it. I would cover it with fabric to make it look like Vivi's, or I'll build my own base out of foam or a beanie and work from there. The gloves seem pretty basic and I am hoping to maybe even find them in a surplus store somewhere. They are a weathered pair of mahogany/brown fitted gloves. If not, I can make them myself and again, make them slightly larger so I appear smaller overall (it sounds backwards, but it works). Here is the back view of the jacket as well. Definitely looks more complicated from behind. :[ The white part almost looks like coat tails, which means they are stiff and hold a shape. I will probably end up using a strong interfacing to hold it all up. 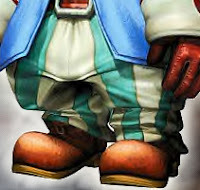 Pants/Boots ~ This part seems pretty straightforward as well. Similarly to the jacket, I will make the pants a bit larger to make me look smaller. 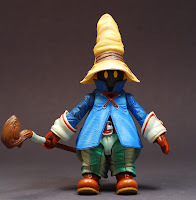 I probably won't be able to find fabric that has the exact pattern Vivi has in his pants, so I will buy a base creme color, and add my own aqua/green stripes, and then sew it. As for the boots, I am going to search as much as I can through Good Will and army surplus stores to see what I can find. If not, I'll take a pair of my own boots and sew pleather coverings and attach them somehow. Accessories ~ Characters always have accessories and I believe these are key in order to make the costume them authentic and most like the character. Vivi has a weathered brown belt that matching his boots, and the string in this picture is found in several places around the costume. The silver string-holes are easy to find at fabric stores as well. I am hoping to be able to buy the belt somewhere, but if that doesn't work out, I'd take a belt I already own, cover it with matching pleather, and either buy or make the belt buckle out of clay. Props ~ One of my favorite parts of a costume. I find that Vivi's staff is optional, since not all mages carry staves and his changes throughout the game depending on what you have equipped. This is something that I'd make if I have extra time. Often characters will have props and I think it really polishes the overall look. Extras ~ This could be included in props, but sometimes people have little "extras" that they add to the costume. 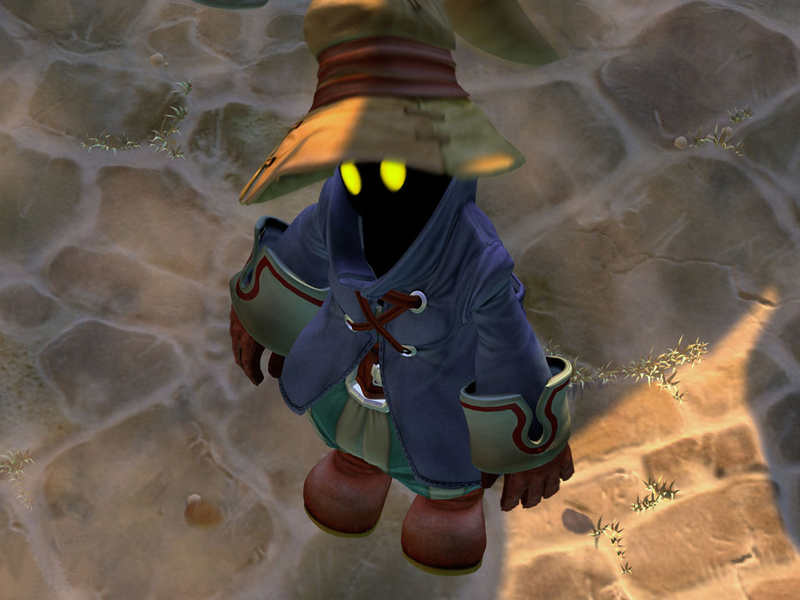 I am hoping to make a 'fire/flame' prop for Vivi. By taking a small crystal orb and coloring it, attaching red/orange/yellow glittery wrapping paper (they sell semi-opaque stuff), and tie it to clear fishing line for the "casting" appearance. Now that we've gone through the complete costume, you are ready to head to the store! The other thing that is important to note is if you are going to buy patterns. 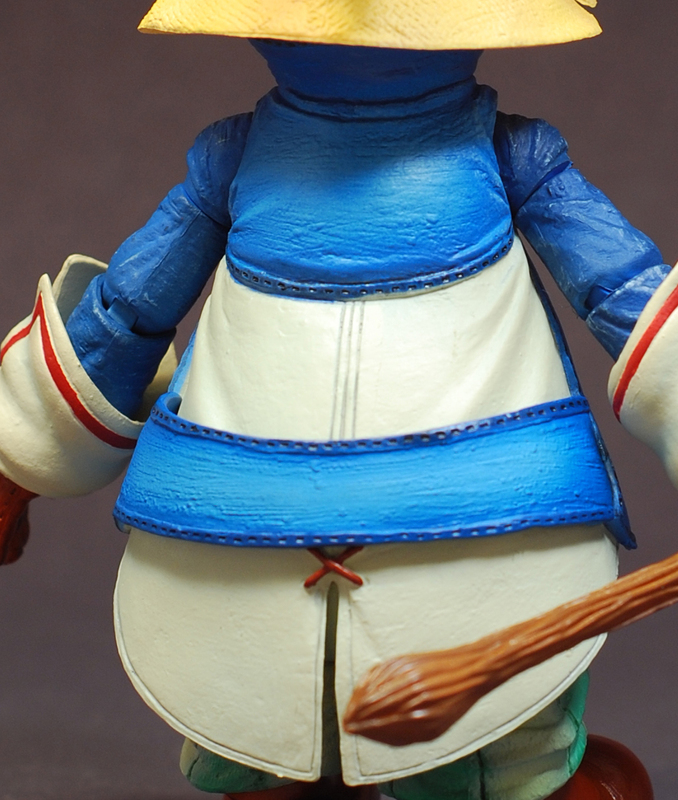 For Vivi, a lot of his pieces are very complicated. I may look for patterns that are similar to his for: gloves, trench coat, and pants. I can always alter them. Write down your measurements ahead of time before you're at the store so you know what size you are. Always purchase some extra fabric in case you mess up! The patterns usually don't give you much leeway when they list the fabric yardage, so take that into consideration for yourself. Soon I'll be heading to the fabric store with Sarah and we will get started on our cosplays! I leave for college in a week and won't be able to bring my sewing machine this year. So I hope to get a head start these last few days, work on the bulk of the costume over my two-week winter break, and finish it over my one-week spring break. Wish me luck, I think we'll be cutting it close!